Quess Corp shares got listed at a 57 percent premium on Tuesday at the Bombay Stock Exchange. The staffing solutions company had issued shares at Rs. 317 per share and its public issue was oversubscribed 144 times. The shares debuted at Rs. 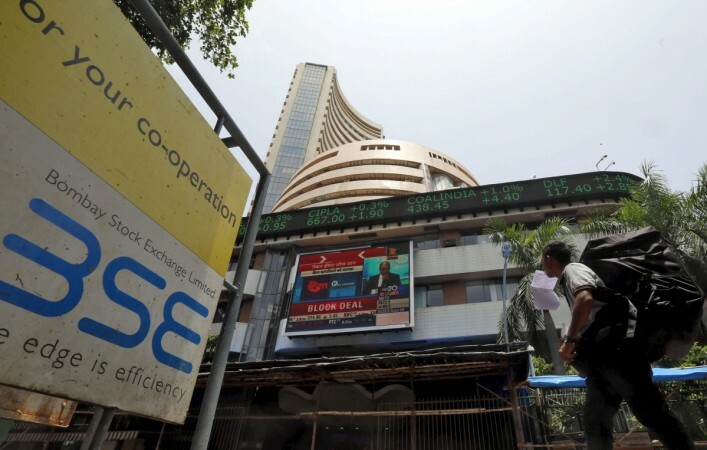 499 apiece on the BSE, a premium of 57.41 percent to the issue price and rose to a high of Rs. 504. At around 10.22 a.m., the shares were trading at Rs.501. The shares were listed under "B" Group securities with the scrip code 539978. At around 12.30 p.m., the Quess Corp stock was Rs. 496.60. The S&P BSE Sensex was up 82 points at 27,708, consolidating its Monday gain of 499 points. Top Sensex gainers were ICICI Bank, Maruti Suzuki, Tata Steel and Axis Bank, where stocks dragging the Sensex including Dr Reddy's Labs, Sun Pharma and Asian Paints. The gains on Indian stock markets were on expected lines after Asian equity markets rallied on Tuesday. "Indian markets are expected to open positive tracking SGX Nifty & strong global markets. After strong gain on Friday, the US markets further advanced ahead of the result season. The better than expected job data gave a renewed confidence to investors and who feel that the BREXIT concern was overblown and its earnings what needs to watch out for now. The European markets closed further high on expectations of renewed stimulus by the central bank," Angel Broking said in its pre-markets opening note. Quess Corp had raised Rs. 180 crore by issuing 5.76 million shares to anchor investors at the upper end of the price band. The company is engaged in recruitment, staffing, payroll and compliance management services in India. The company â€” earlier Ikya Human Capital Solutions Limited â€” was acquired by Thomas Cook in May 2013 when the travel and holiday solutions company took a controlling stake. It generates about 86 percent of its revenues from India and had earned a net profit of Rs. 89 crore on net sales of Rs. 3,435 crore for the financial year 2015-16. Quess Corp is a subsidiary of Thomas Cook India, whose shares were down about 1 percent at Rs. 218.25. Story updated at 12.34 p.m. with additional details.